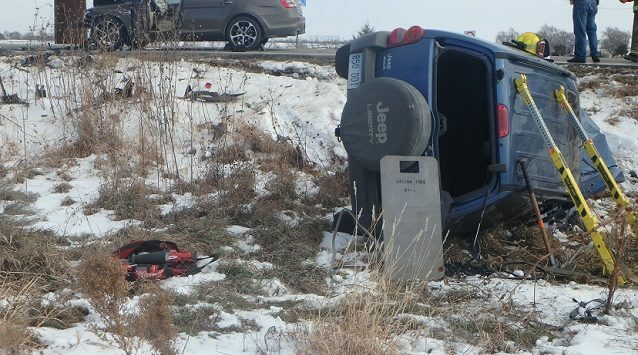 A Salina woman was taken to the hospital with non-life threatening injuries after being trapped in her Jeep following a two vehicle crash on Wednesday. 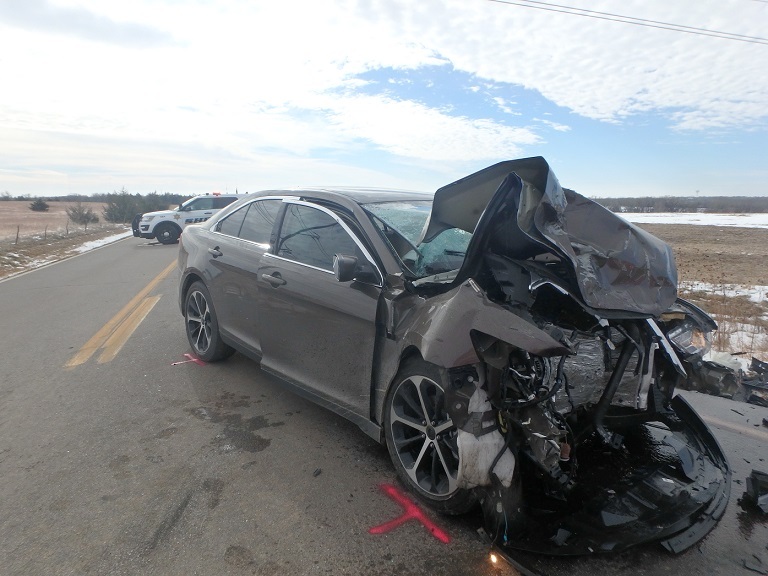 According to Saline County Sheriff Roger Soldan, 75-year-old Margie Blaske was extricated from her Jeep Liberty, after colliding with a Ford Taurus driven by 61-year-old Susan Davis of New Cambria. Deputies say Blaske attempted to turn left in front of Davis’ car at the intersection of Simpson Road and Crawford Street at about 11:20am Wednesday. The impact sent the Jeep rolling down the embankment, trapping Blaske. Davis and her passenger, 67-year-old Keith Davis were also hurt in the accident and taken to Salina Regional Health Center with non-life threatening injuries. Both the 2004 Jeep Liberty and 2016 Ford Taurus had major damage. All three adults were wearing seat belts.